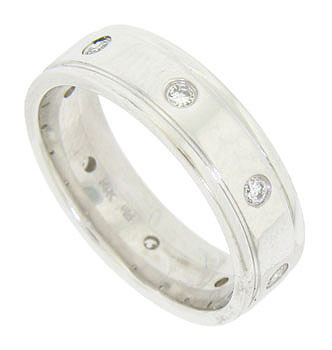 This handsome modern mens wedding band is crafted of 14K white gold and bezel set with round cut diamonds. The edges of the band are simply adorned with engraved channels. 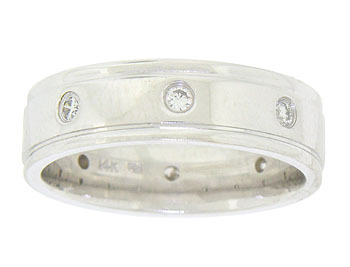 The wedding ring measures 5.98 mm in width. Size 8. We cannot re-size.